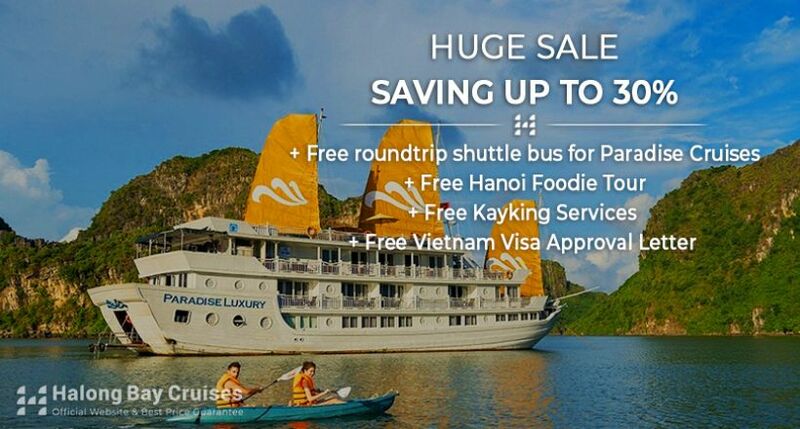 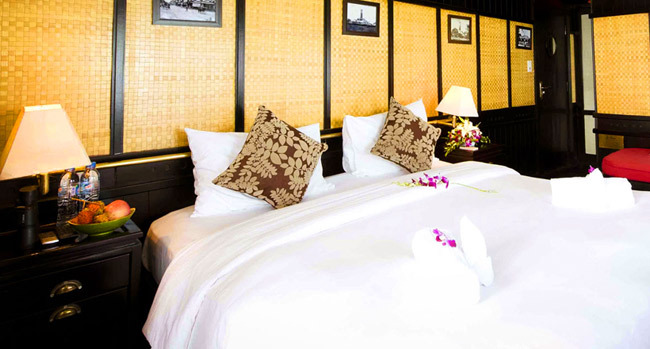 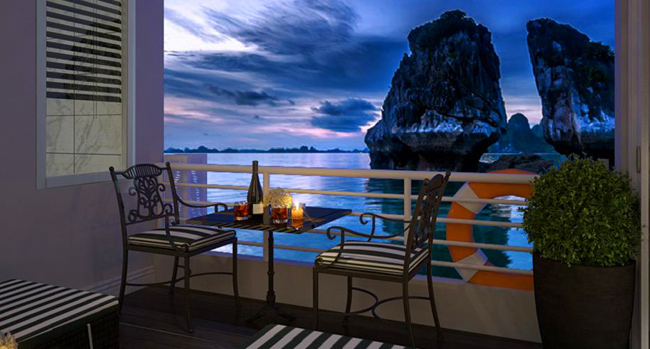 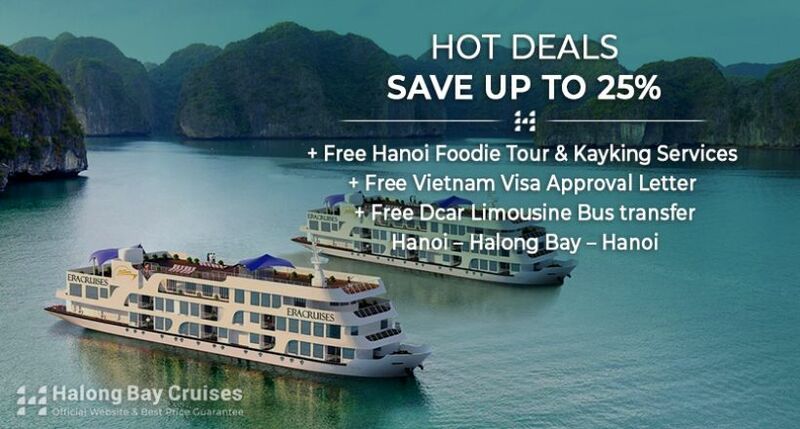 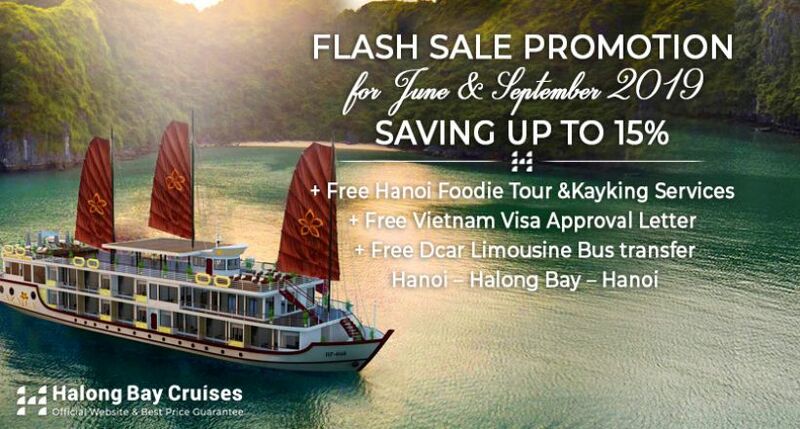 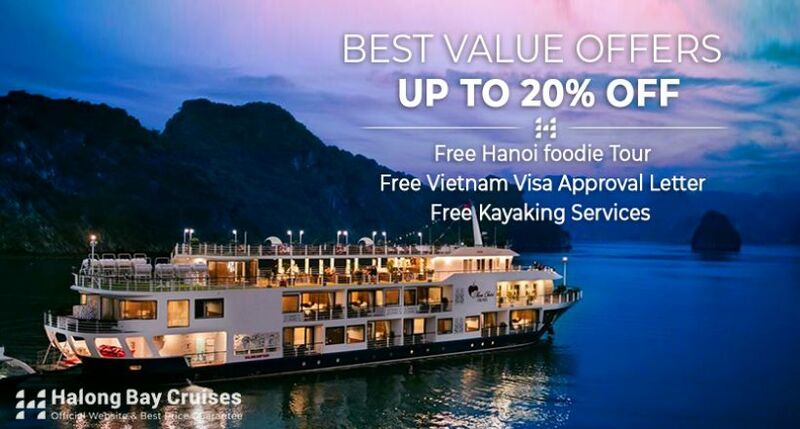 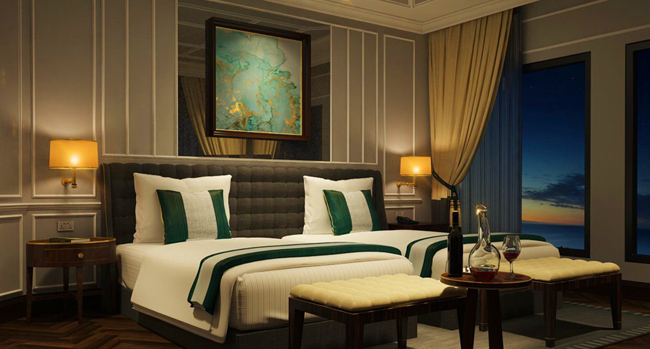 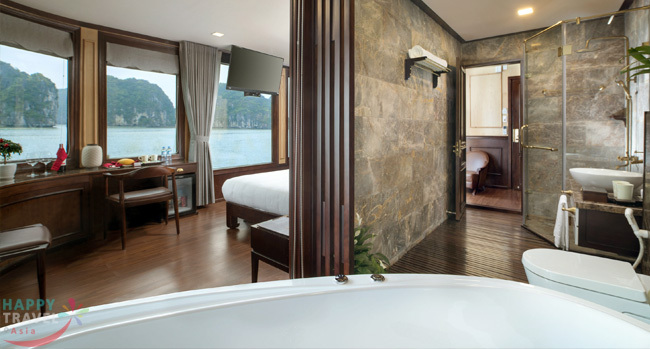 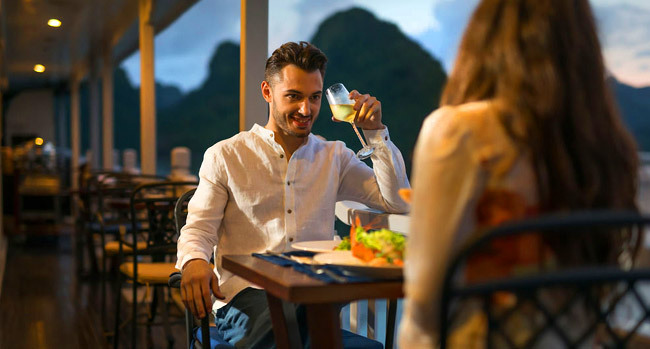 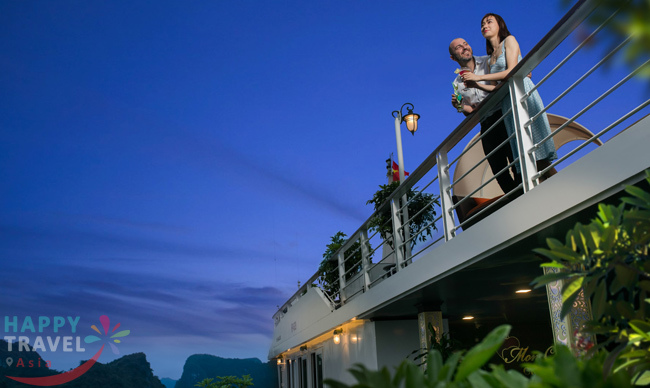 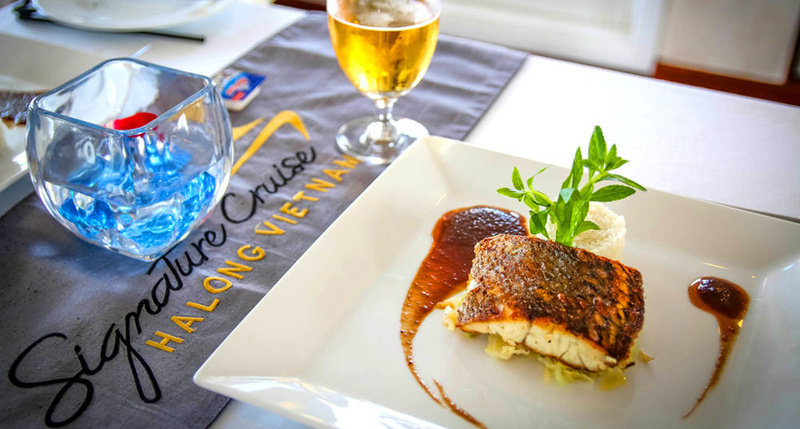 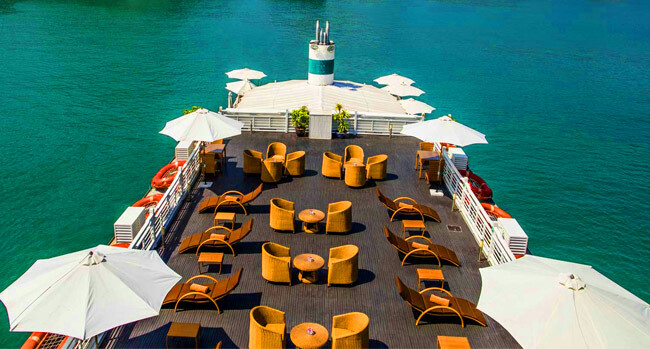 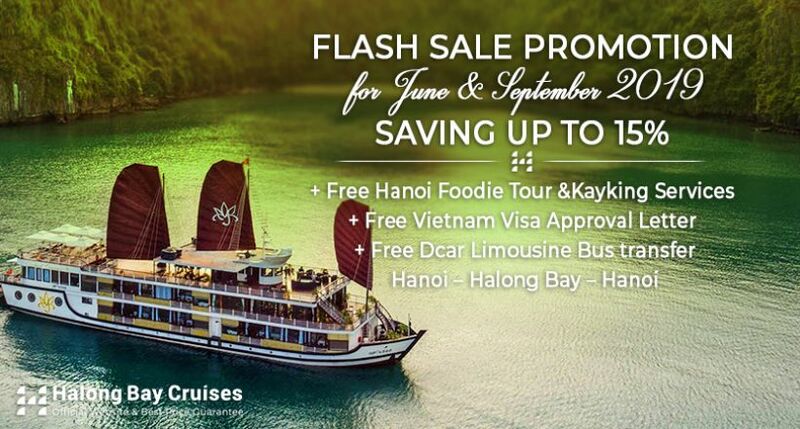 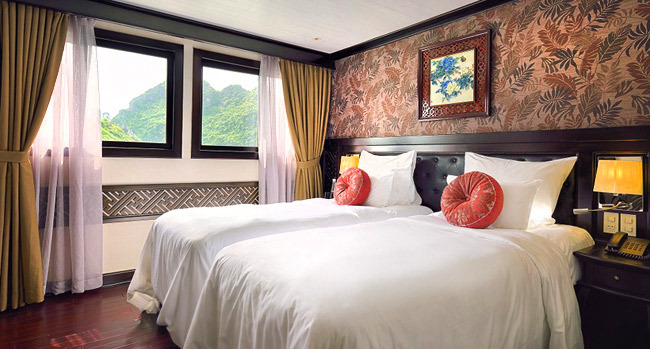 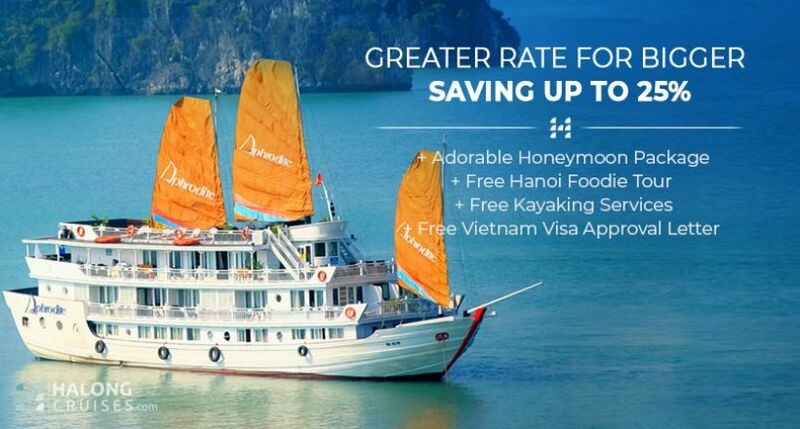 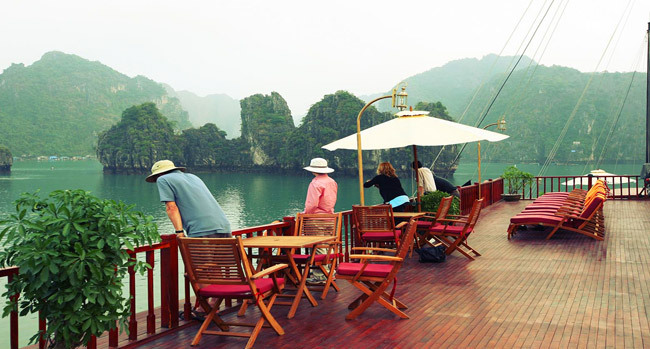 To satisfy all your travel needs, Halong Cruise & Deals offer you cruises which are suitable for your honeymoon holiday. 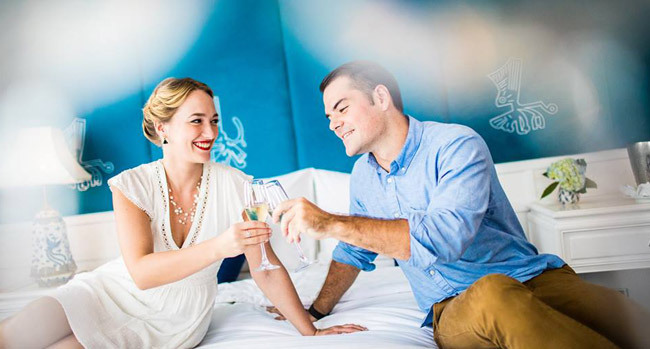 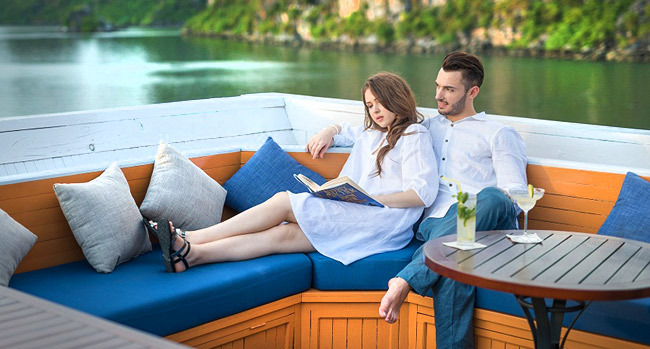 These cruises provide private atmosphere from cabin décor, dining table setting and special offers for couples on honeymoon. 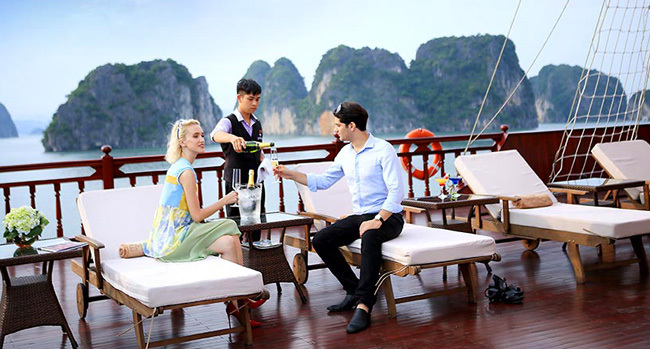 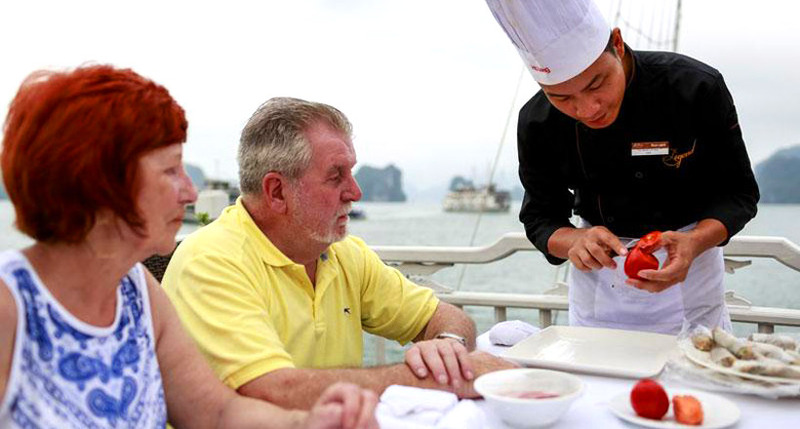 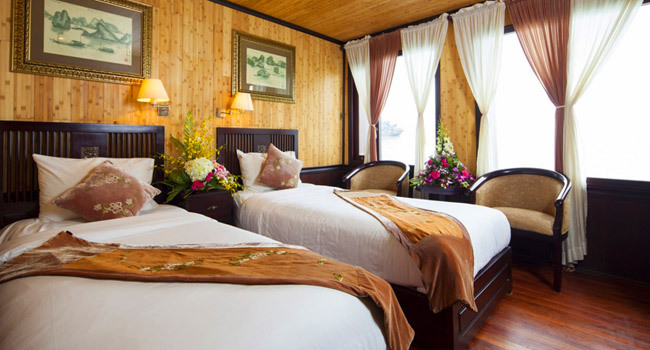 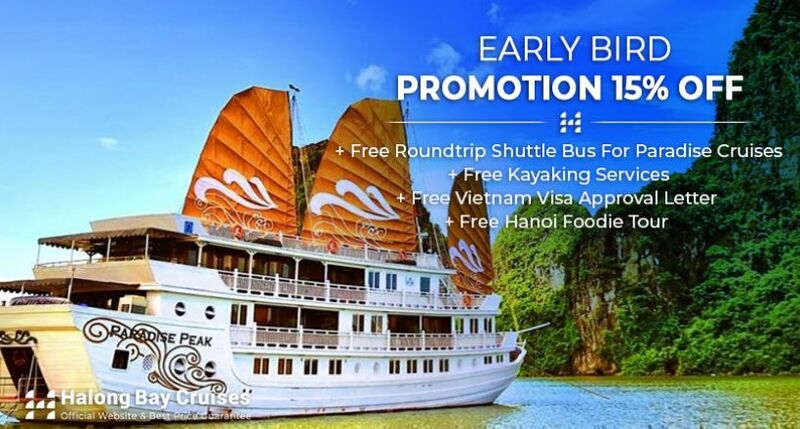 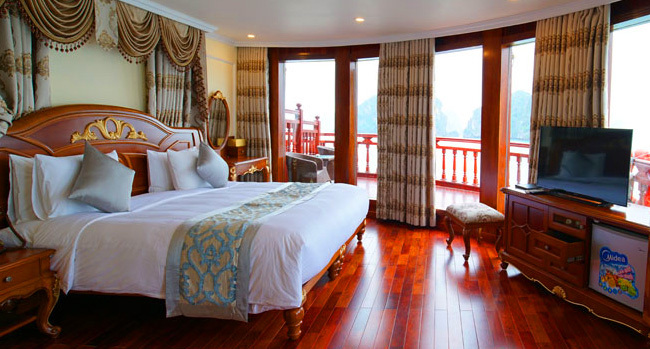 Especially, these cruises that we recommend you based on previous tourists' feedbacks, therefore, you will definitely have sweet time in Halong Bay. 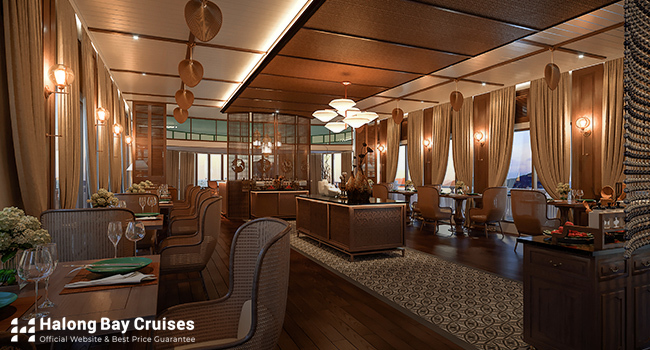 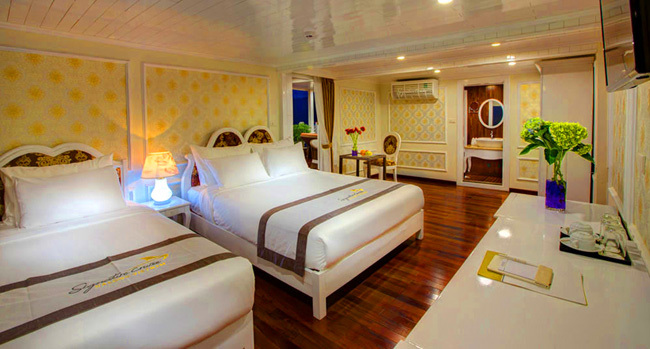 Style: Modern combined with traditional Vietnamese-style One of the most luxurious cruise in Halong bay High levels of guest service with private butler service and professional staff team Large cabins with at least 38 m2 space make visitor feel like a hotel Paradise Cruises is proudly awarded the Trip Advisor Certificate of Excellence 2015 Excellent service: cater customers 24/24 any time throughout the cruise Spectacular facilities: the most spacious spa facilities and the very first and only library and fitness room in Ha Long Bay Private Cruise: With only 8 - spacious cabin easily bring more comfort for guests. 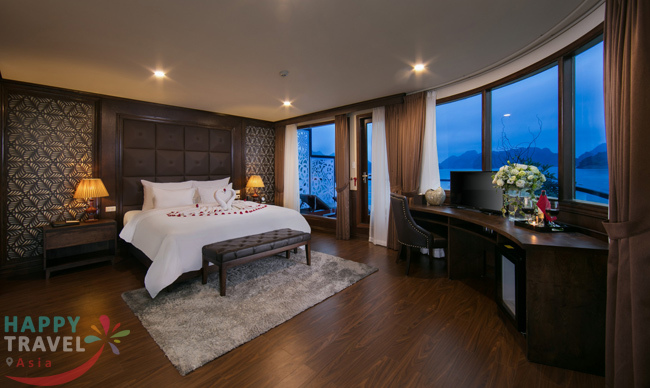 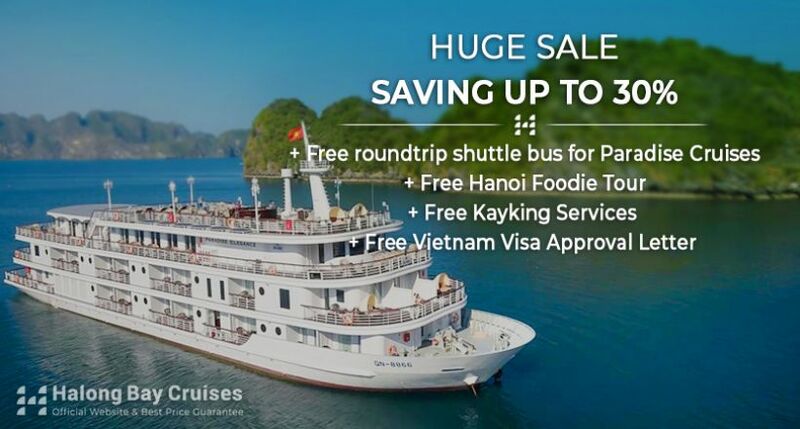 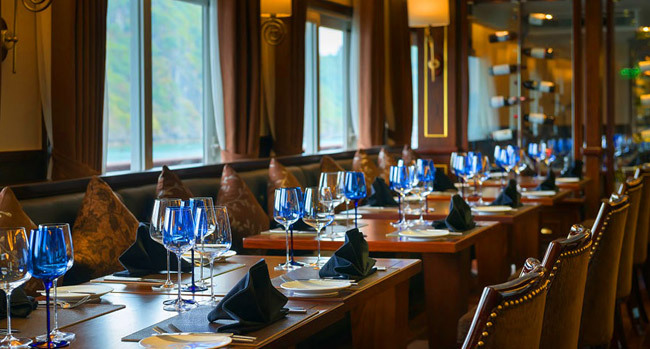 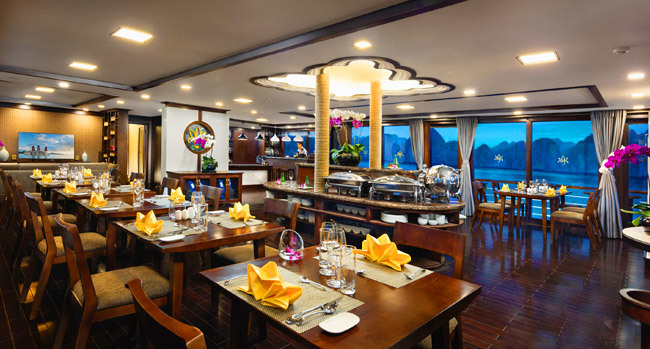 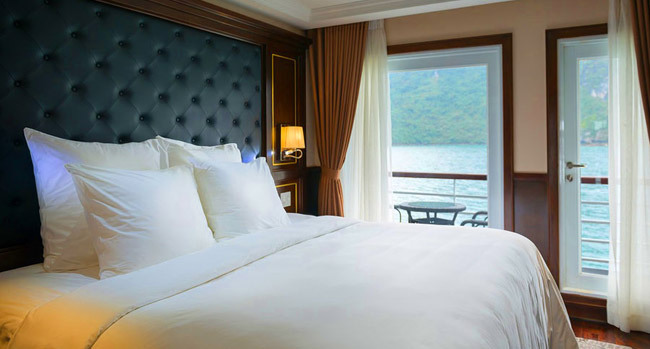 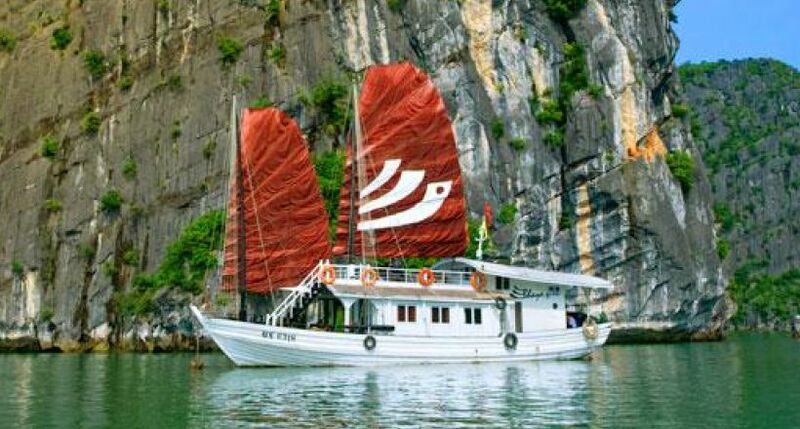 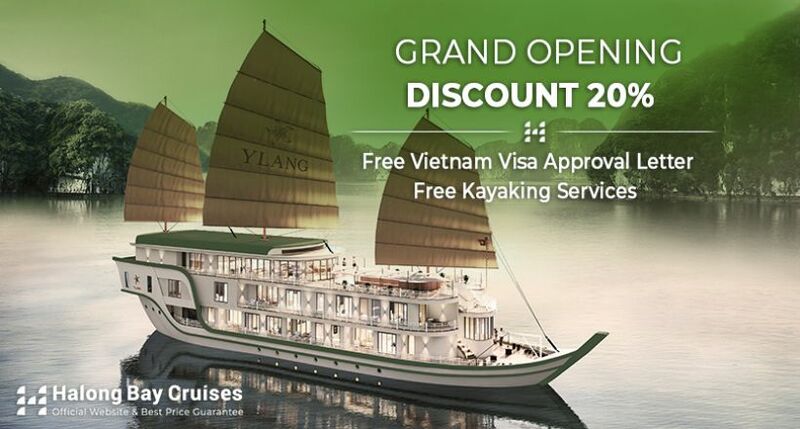 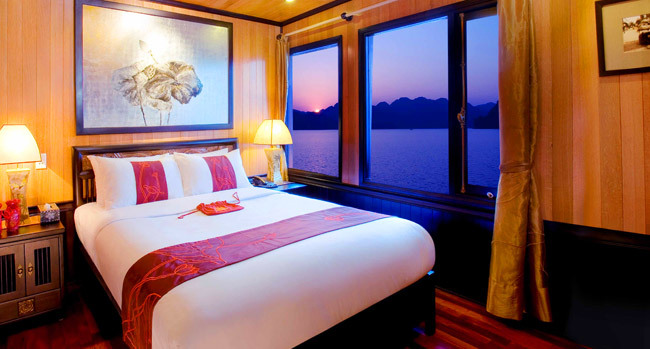 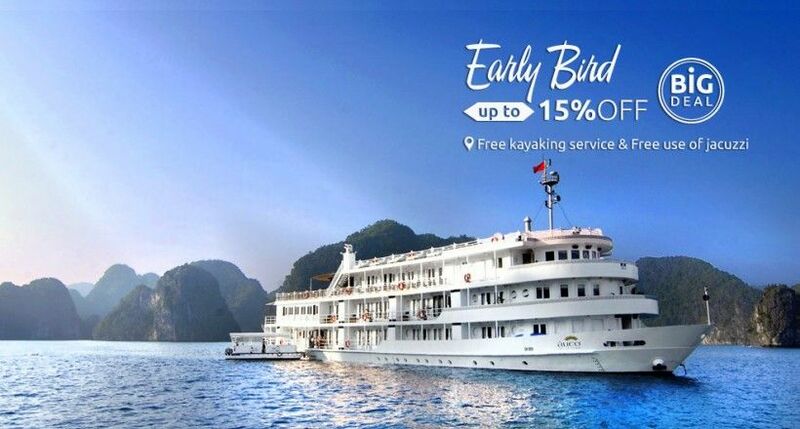 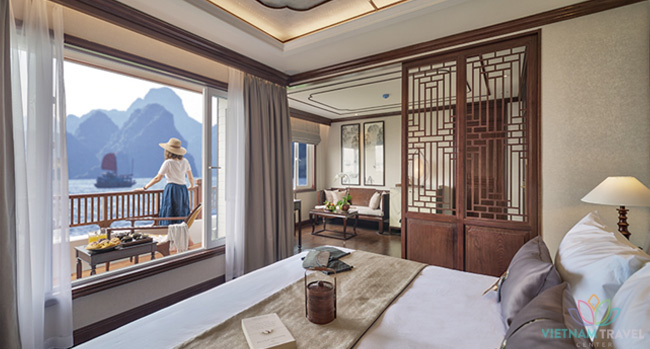 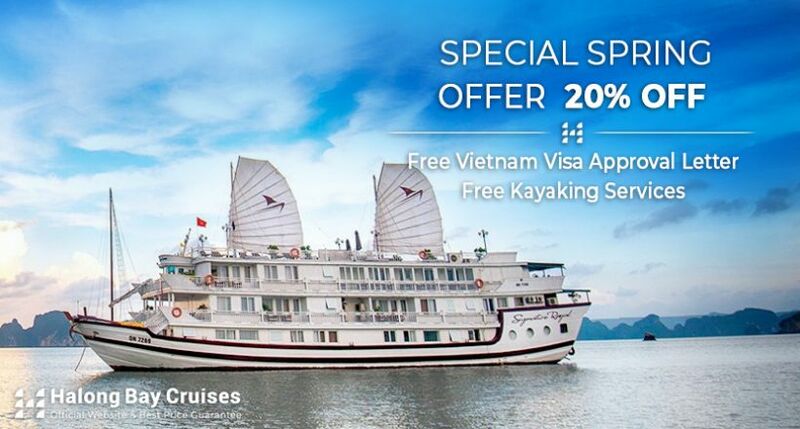 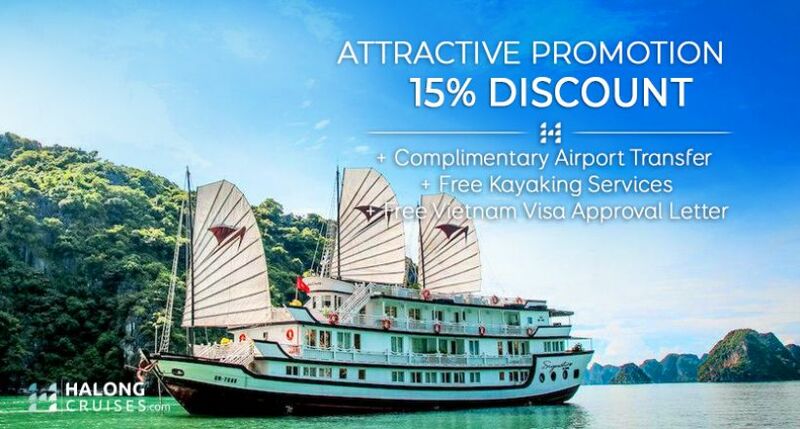 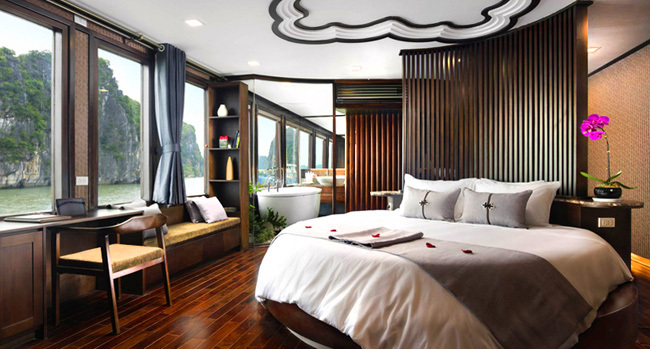 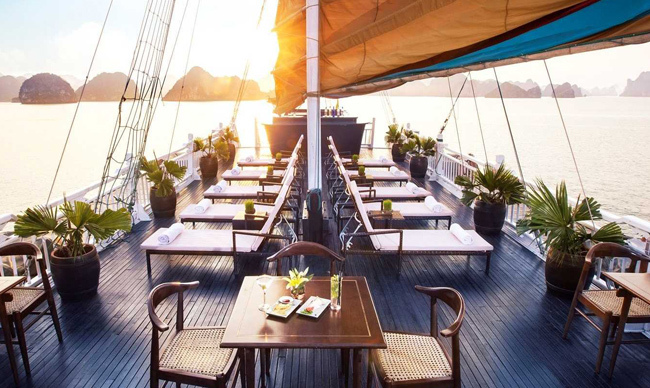 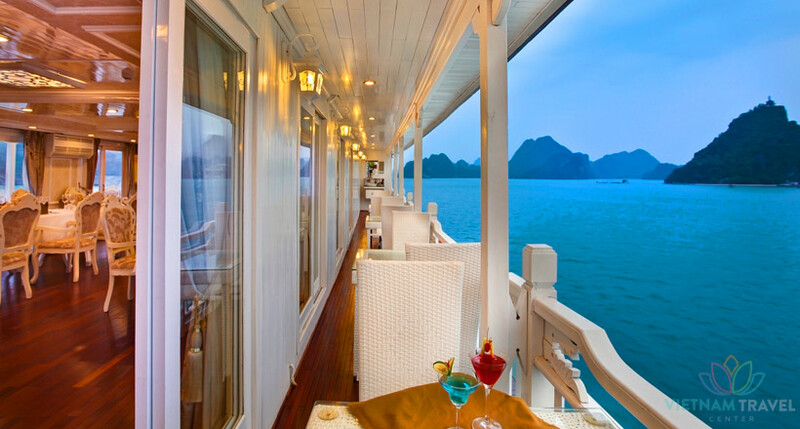 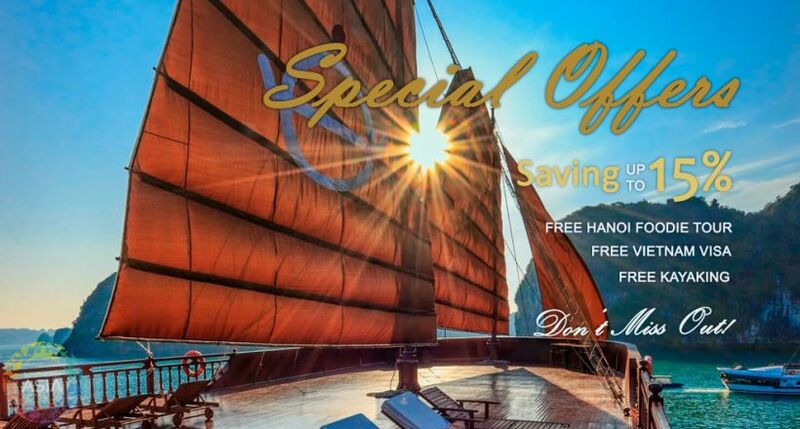 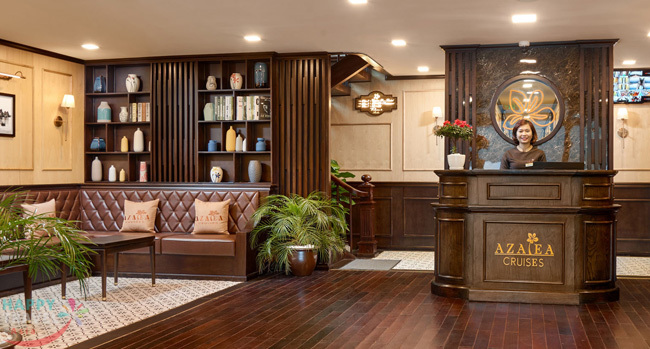 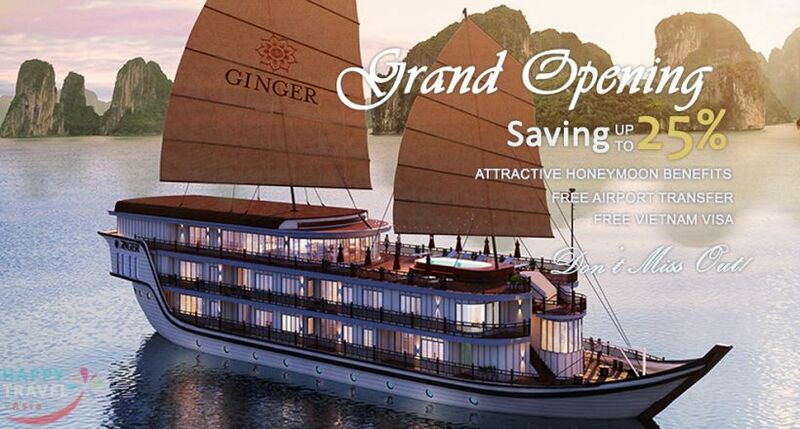 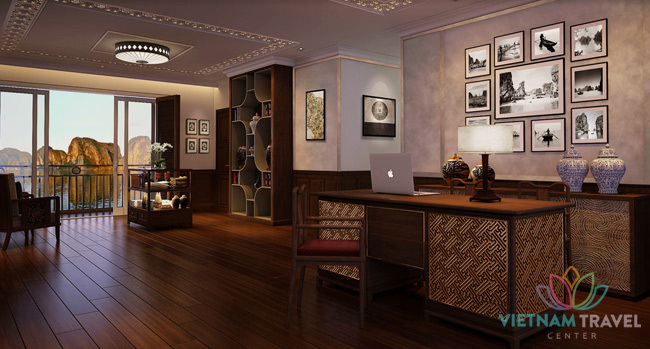 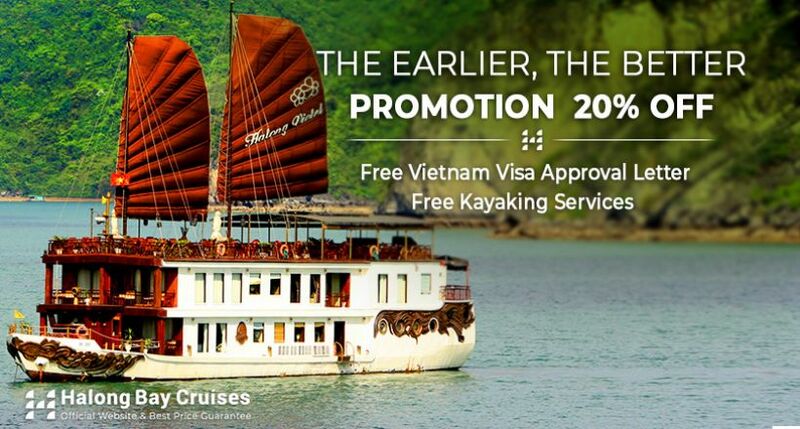 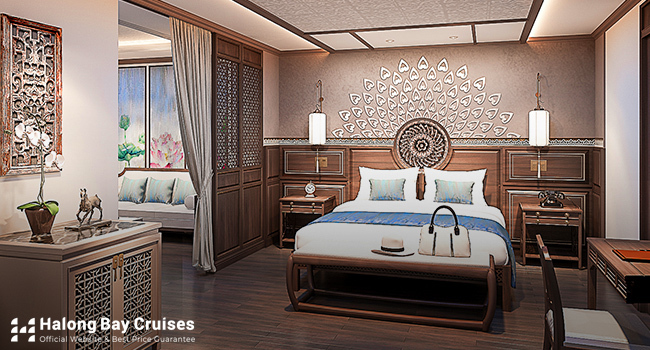 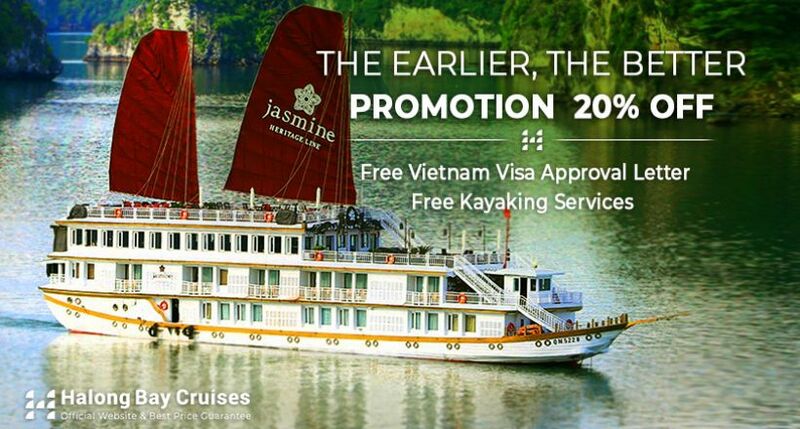 Style: Modern, bright and impressive on white design Newly operated, spacious, clean and elegant cruise A fully adventurous journey: The only cruise to discover 3 bays in Ha Long: Ha Long Bay, Lan Ha Bay, Bai Tu Long Bay. 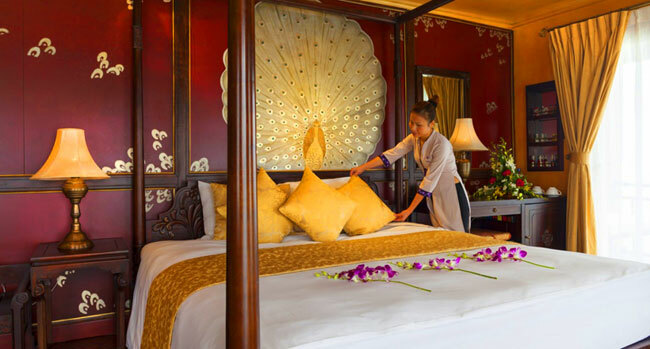 Outstanding staffs, efficient and hospital crew. 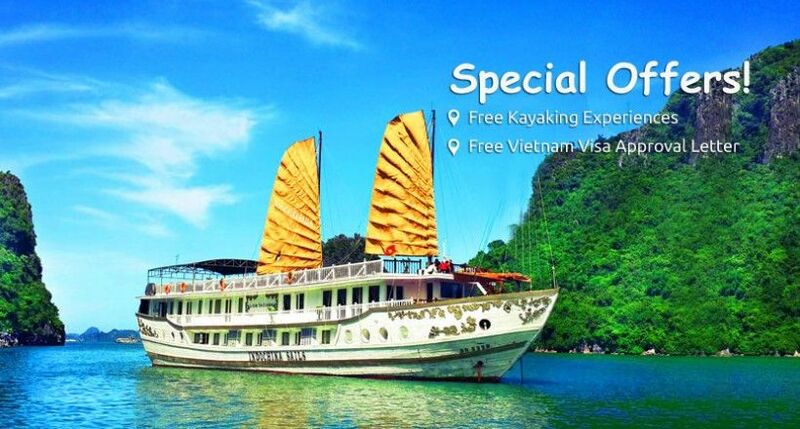 Comfortable and spacious cabin- with a balcony which affords great views Suitable for famiy, MICE, team building,... 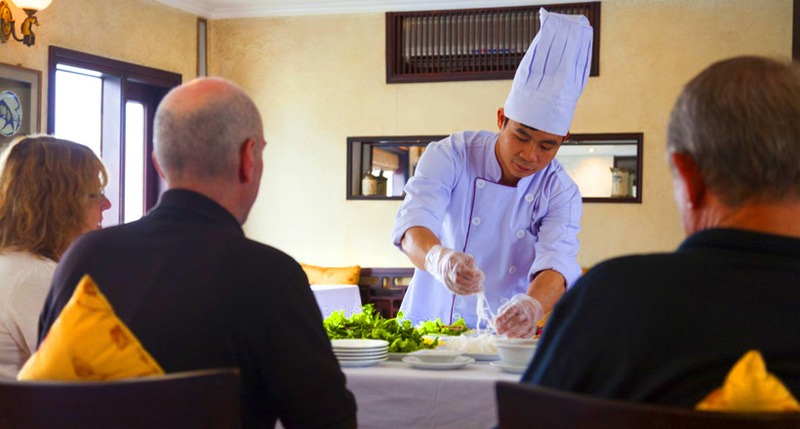 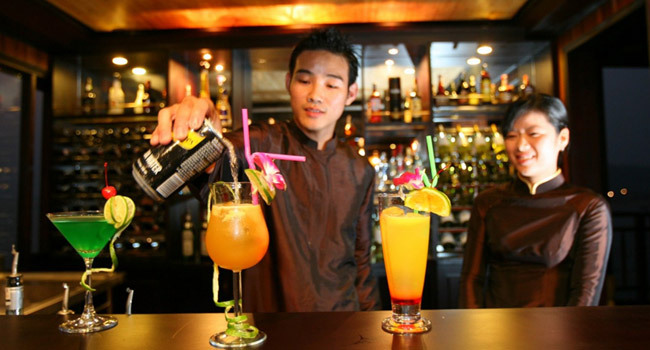 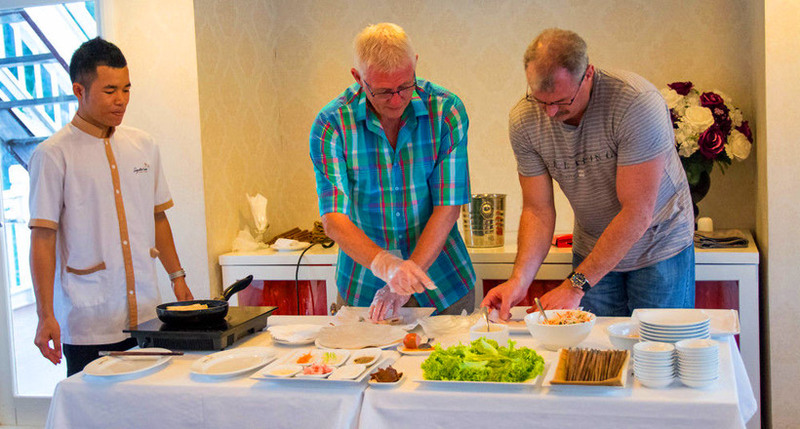 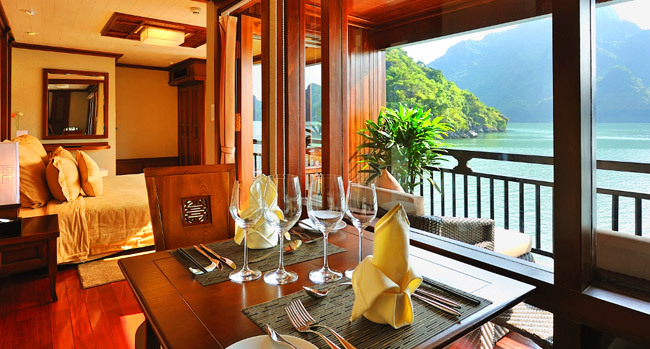 Delicious food - something to look forward to Plenty of interesting activities: explore Cat Ba island, visit the fishing village, kayaking, swimming.